LHC physics? I like it! A beam of negative hydrogen ions has been injected into the first accelerator module of Linac4, the linear accelerator which will replace Linac2. 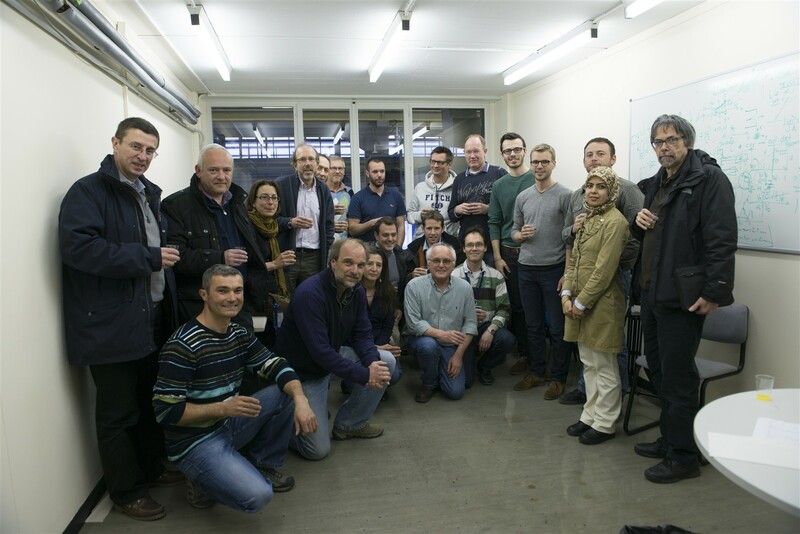 The Linac4 team celebrate the acceleration of the first beam by the RFQ module. Wednesday, 13 March was a big day for the Linac4 teams. At its temporary location in an old PS hall, the first element in the Linac4 accelerator chain, the Radio Frequency Quadrupole (RFQ) module, accelerated its first beam produced by the new source built for Linac4. This crucial step was a complete success! Want to know more? Check out these Bulletin articles about Linac4: Testing begins on Linac4, A Siberian delivery, and Sixteen silver wires to assemble 350 kg of copper.